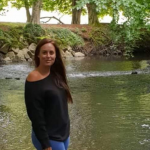 Hi my name is Ceri I'm 33years old, I have always had an interest caring for children from a young age, as early on as 10 years old I knew that I would like to care for children. I would describe myself as a very reliable, trustworthy and organised person and of course caring, fun and creative. I have been a qualified nanny for 10 years, and over 2 years in a nursery setting. I enjoy my job very much and feel I always gain a close bond with all the children I care for. I currently live in pencoed I am able to travel as I am a driver. I have over 12 years experience in childcare. within 2 nursery settings and also nannying jobs. I have experience with young children up to the age of 11 years Caring for the children's daily needs, taking children to school in the mornings and picking up, including daily outings.,home work etc. Twin experience where I have worked for 4 families. I have experience doing short term nannying to help families, if I have been between jobs. I also babysit for a number of families on a regular basis, and over the years where the age of children have ranged from young children up to the age of 13 years. A lot of these families I have become great friends with and remain in contact. I have done overnight care babysitting along with wedding babysitting events with other nannies. I can provide references from both nannying and babysitting work upon request. I am actively looking for 2 full days (16-20 hours) Not just wrap around care. I have Monday- wednesday available. I'm available from Monday 14th January. I am available for evening and weekend babysitting and overnight care/wedding babysitting. I Willing to travel as I am a driver, to areas: Pencoed,Bridgend,Talbot green,church village and surrounding area. Penarth, the vale, Sully, llantrisant Dinas, and Cardiff if interested just give me a message. Overnight care can be discussed this depends on ages of children, how many or if twins. This member has provided us with electronic copies of the following documents that have been reviewed by Childcare.co.uk and are held on file. The documents have been certified by the member as being true and accurate. We recommend you ask to see original copies of the documents before you hire them in order verify the true accuracy for yourself. Find out more about checks & references. Below are the latest reviews for ceri08. Please note that reviews represent the subjective opinions of other Childcare.co.uk users and not of Childcare.co.uk. Parents must carry out their own checks and references on childcare providers to ensure that they are completely happy before enaging in the use of their services. Ceri has looked after my little boy since he was a baby. He’s 6 now. She is punctual, reliable, very relaxed and easy going. Confident with children and she feels part of the familiar. I trust her implicitly and my little boy is very secure and happy with her. She does overnights as well when I have to work away and I am completely relaxed when she is looking after him. Best childminder in the world! Ceri instilled confidence from the outset. She is open and clearly takes her work seriously. But she is also fun and very caring. Our twins have immediately felt secure and happy with her. Looking after twins is no small challenge. We are delighted that we have found Ceri. Our family absolutely adore Ceri! I can not fault Ceri’s professionalism, having Ceri babysit takes the stress out of an evening out! Totally reliable and trustworthy, professional, wonderful manner with children! We have used Ceri’s babysitting service for the last 4 years and if I can’t get Ceri to babysit I don’t go out! It’s that simple! Ceri is our babysitter and has worked with our family for a number of years. She is very reliable and can easily and appropriately manage the challenging behaviour from our 8 yr old Foster son. Our children love having her to babysit and she can "step into my shoes" easily. You must be a registered parent and logged in to leave a review. If you don't have an account then Register Free now. This profile has been produced from information provided to us by the user. We have not verified or confirmed the accuracy of any of the information and members should undertake their own vigorous checks and references.. Please ensure you read our Safety Advice and information on how to Check Childcare Provider Documents. 'Childcare.co.uk - the easy way to find local childcare.' is a Registered Trademark. © 2019 Childcare.co.uk - International New Media Limited - Company Number 6020111 - All rights reserved.